The 2016 spring race meet gets underway March 11 at Hawthorne Race Course, and it appears that there may not be any stakes races on the schedule this season. According to the Daily Racing Form, Hawthorne officials are planning to eliminate the spring stakes races in order to direct more funds into the purse account for overnight races. As a result, stakes races such as the Illinois Derby and the Sixty Sails Handicap would not be run, at least during the spring meet. 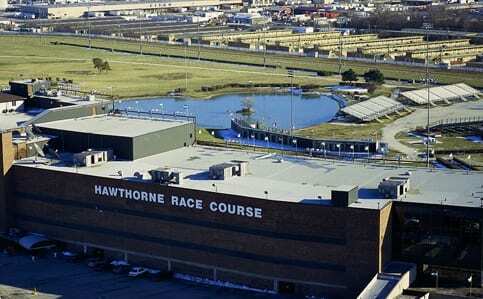 Hawthorne officials indicated that it was possible that the Illinois Derby would be moved to the fall instead. This entry was posted in The Biz and tagged hawthorne park, Hawthorne Race Course, Horse Racing, illinois derby, illinois racing, sixty sails handicap, thoroughbred by Paulick Report Staff. Bookmark the permalink.